Attachments for Forklift - Used to facilitate the transportation of heavy items, forklifts are used by numerous companies to transport their manufactured goods and to storage their goods. What's more, there is a wider range of accessories available to help ensure that jobs could be completed in a more efficient and safer manner. Farmers for example, often need to transport large bales of hay, bags of seed or various cumbersome and heavy items around their property. A bale spear is a common lift truck accessory used on farms since it makes transferring heavy items like for example bales of hay, a much easier task. Bale clamps are another attachment for lift trucks. They allow pallet-less bales to be lifted and transferred to different places. The round tip forklift attachment could be utilized to release or squeeze out compressed materials to make them free flowing to match your needs. Bar arm clamps are yet another type of forklift attachment that could be useful in lifting and transporting cylindrical products to convenient spaces in your warehouse. The boom accessory is one more useful kind of lift accessory, which helps change your lift truck into a mobile hoist unit. This particular sort of accessory can deal with unstable and awkward goods. Boom attachments can be fork mounted or carriage mounted or even fixed according to your specific needs. Carton clamps are another accessory which offers adaptability to your forklift. These come in handy whenever you must move appliances or furniture that has no pallet for support. Carton clamps are perfect whenever you need to move goods easily with no pallets. Drum clamps are one more forklift attachment offered on the market. These clamps are utilized to move drums and the operator is able to stay seated throughout the whole process. Scoop buckets could be used as another accessory and are helpful to transfer gravel, soil, sand and for snow removal. A double block handler attachment will allow your forklift to lift two loads simultaneously and pile them up side by side. Forklift accessories of this type are very light and could help you exceptionally in finishing medium duty work. Particular attachments could be mounted on the forklift and change it into a mop or a broom and after that be used to clean up mud, sand or dirt. This machine is remarkably suited to clean warehouse floors or parking lots. It can reduce you workload considerably with its capability to cover large areas in a highly efficient method. Other attachments could be utilized as mounted platforms so as to help your workers access various heights and move from one place to another. 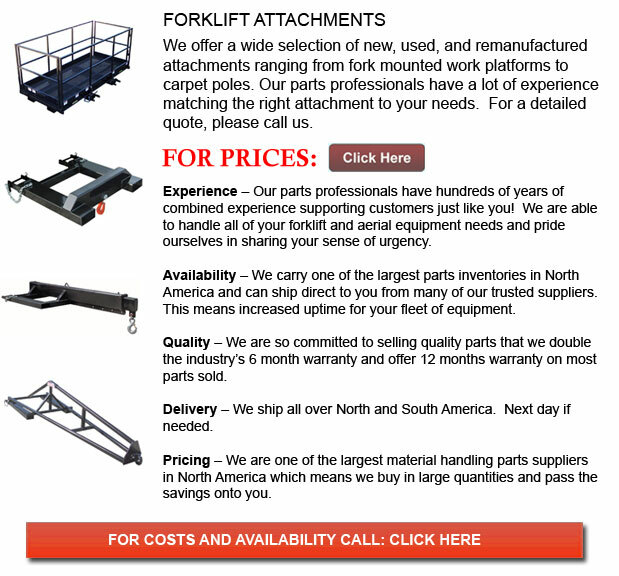 Forklift attachments are extremely effective to get the most out of your machinery. They are handy when you should move items that are unstable or awkward. With each and every attachment you could do a variety of jobs with a lot more simplicity and ease.